"Never call a traveler a tourist." 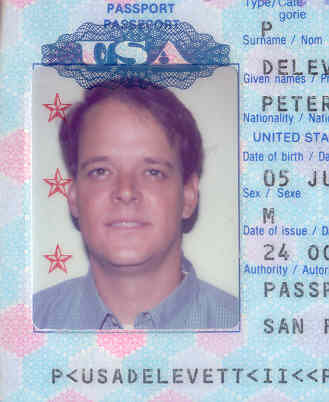 Peter Delevett is a veteran journalist and travel writer in Silicon Valley. His "Wiretap" column has long been required reading for hundreds of thousands around the world. His travel pieces have won prizes from the North American Travel Journalists’ Association, the Solas Awards competition and the Society of Professional Journalists. Delevett has frequently been featured on radio and television, and his work has appeared at WorldHum.com and in the Honolulu Advertiser, the New Orleans Times-Picayune and the Miami Herald, among many others. He has been a featured travel columnist for Alister & Paine magazine. In WALKING ON THE MOON, he brings a trained observer's focus to a midnight wedding procession in India, and a veteran story-teller's touch to a temple of spirit-talking mediums in Taiwan. Read interviews with Peter here and here.